Obituary for David Roberds | Smith Mortuary, Inc.
David Roberds, 65, of Branch passed away Sunday December 16, 2018 at Branch. He was born January 10, 1954 in Charleston, AR to the late Charlie Edwards and Claris Augusta Harris Roberds. 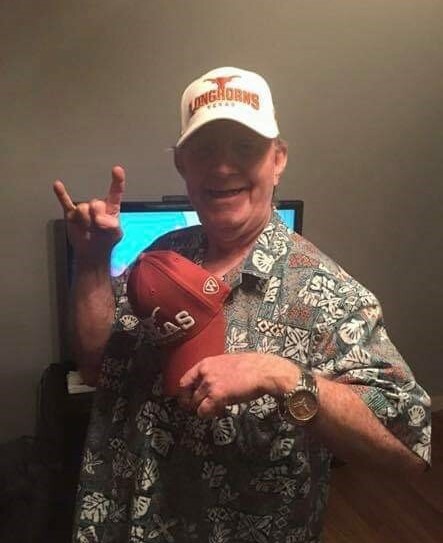 He attended the Logan County Day Service Center and was an avid Texas Long Horn fan. He is preceded in death by his parents, one brother Dean Roberds; one sister Georgia Johnson. Funeral service will be 2PM Thursday December 20, 2018 at Smith Mortuary and burial will follow in Paint Rock Cemetery north of Paris, under the direction of Smith Mortuary, Charleston, AR. Rev. Bill VanMeter and Rev. Tim Hobbs will officiate. Left to cherish his memory is wife Michelle Young; his two brothers, Mike Roberds and wife Pam, Duke Roberds and wife Darla; a host of other family and friends. Pallbearers will be Brady, Cory, Derek and Mikey Roberds, Wendall and Reggie Johnson, Gary Enriquez and Joe Long. Family will receive friends form 6PM until 8PM at Wednesday at the funeral home.